Launched by the Dalai Lama, the curriculum teaches children meditation and how to take pride in their work. The government of Delhi has added a new subject to the school curriculum in the hope that it will transform the educational outcomes of children – happiness. Pupils in Delhi’s government schools from pre-primary age up to 14 years old are receiving daily lessons in happiness, which include yoga and meditation and teaching children to take pride in their work. The 45-minute classes start with mindfulness, followed by stories and activities. While there won’t be any exams associated with the new subject, teachers will make periodic assessments of children’s progress using a “Happiness Index”. The Delhi government hopes that a more rounded education will mean that knowledge and values will trump the current focus on exam results. Manish Sisodia, Delhi’s deputy chief minister and education minister, came up with the plan for the happiness curriculum. “In the last 30 years we have produced a lot of workers for industry, a lot of workers for factories [...] but we have not been developing good human beings,” he said. 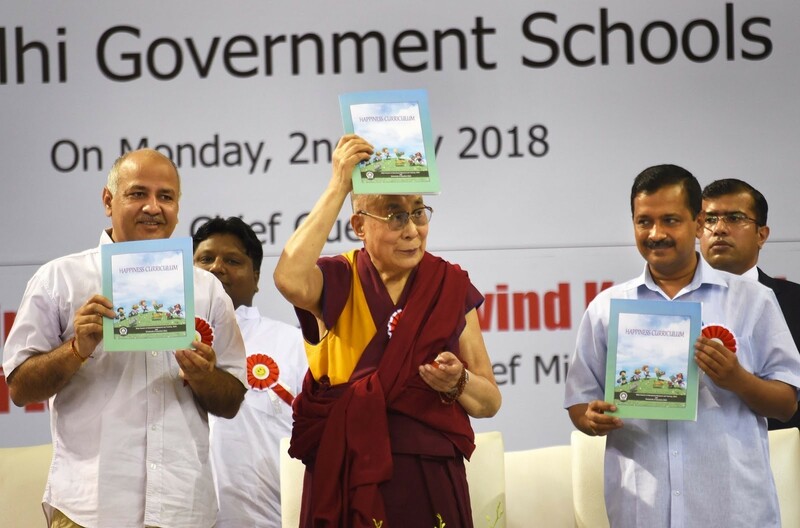 The happiness curriculum, launched on July 2 by the Dalai Lama, is part of a wider package of reforms instigated by Delhi’s ruling Aam Aadmi Party to move away from a system that relies heavily on cramming for exams. Delhi’s education system is made up of both public (government-run) and private schools. It focuses on rote learning and exam outcomes, and the quality of teaching is often very poor. The latest Annual Status of Education Report (ASER) revealed that 25% of 14 to 18 year olds struggle to read a text in their own language, despite having completed eight years of schooling. India’s top universities demand high scores for entry. With fierce competition for places, cheating in exams has become a huge problem. In 2015, parents and friends of students were photographed scaling the walls of an exam hall in Bihar, a state in eastern India, in order to pass them the answers. Question papers are also frequently leaked. Happiness within education becoming more and more important. When Yale University, one of the most prestigious universities in the US, launched its Psychology and the Good Life course, the demand was overwhelming. One thousand two hundred students attend every week, the largest class enrollment size in the history of Yale, which was founded in 1701. Homework assignments for the class include showing more gratitude, performing acts of kindness and bumping up social connections. The UK-based Action for Happiness, which campaigns for happier lives, says that schools have a vital role in helping children develop the capabilities to lead happy lives. They have developed a toolkit based around the principle of Ten Keys to Happier Living, and a pilot project showed that it led to significant improvements in wellbeing in a group of children aged between 7 and 14. “Our vision is for a movement of schools placing happiness and well-being at the heart of their ethos and culture, and proactively sharing their approaches with others,” says the organization.